China has been growing at over ten per cent annually since 1978, but this has only come to very widespread notice in the past decade. This received wisdom about China has been largely of two types, both of which – more or less – understand China in the context of neoliberalism. The more business- or business studies-oriented literature seems to argue that if China does not adapt the rule of clear and distinct property and contract law – in short, of Western institutions – its economy will stall. The second set of voices is more clearly from the left, arguing that the Chinese economy, and city, is neo-liberal. For them, China does not diverge widely from the Anglo-American model that, from 2008, has brought the world economy to its knees. urban change – China has created a form of ‘local state capitalism’ which stands in contrast to neoliberal versions of the city. This book analyses China as a 'risk culture', examining among others Chinese firms and political ties, property development, migrant urbanisms and share trading rooms. It scrutinises the ever-present shadow of the risk-averse (yet uncertainty-creating) state. 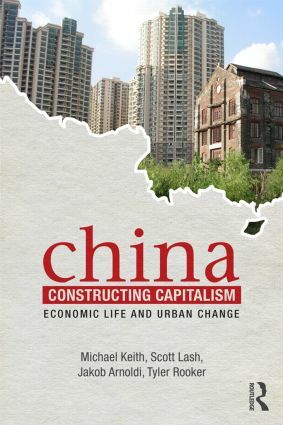 China Constructing Capitalism is a must-read for social scientists, policy makers and investors.